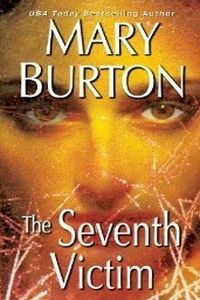 The Seventh Victim by Mary Burton: Synopsis and Online Purchase Options. Synopsis (from the publisher): It's been seven years since the Seattle Strangler terrorized the city. His victims were all young, pretty, their lifeless bodies found wrapped in a home-sewn white dress. But there was one who miraculously escaped death, just before the Strangler disappeared. Lara Church has only hazy memories of her long-ago attack. What she does have is a home in Austin, a job, and a chance at a normal life at last. Then Texas Ranger James Beck arrives on her doorstep with shattering news: The Strangler is back. And this time, he's in Austin.